Where: Finished watching the last season of Gossip girl! 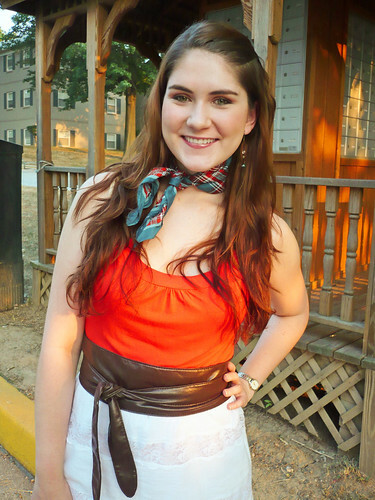 Today I really wanted to make an outfit with this cute plaid scarf I got at Walmart for just a dollar! So I went with this fun orange and aqua color combo! 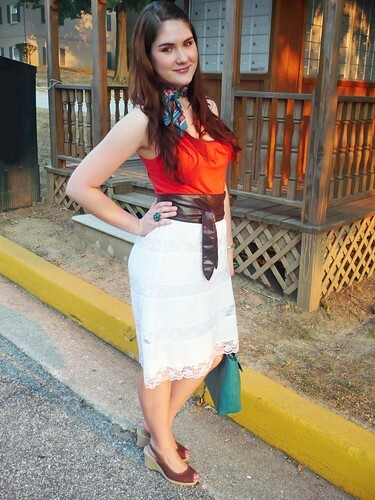 I really like how these bright colors look against a fresh white skirt. I'm so happy to wear this scarf again because its so cute and yet was so cheap! I love it when I find good deals, don't you? It goes to show that you don't need to buy expensive clothes to look good; all you need is a little creativity! 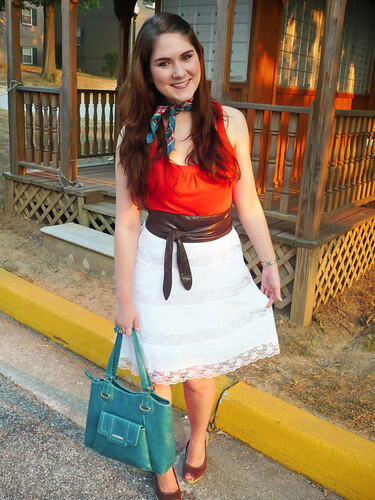 I love the purse, the colour is fantastic, and the white lace skirt is so pretty! 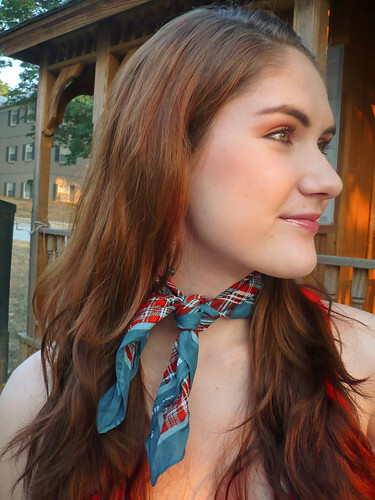 And I have an idea for another way you could use that scarf: tie it around the handle of your purse! I think it would look great on that turquoise purse! Good deal! 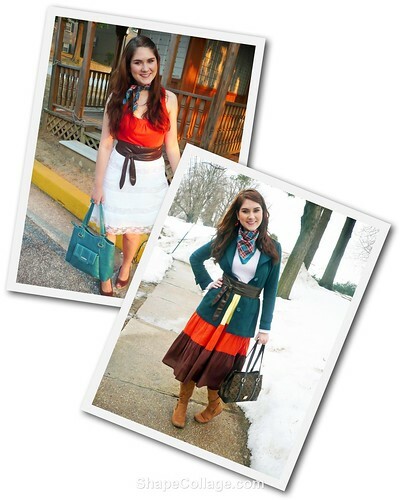 That scarf is adorable and that belt is beautiful! What a great outfit! I also love affordable finds. You really don't have to spend alot to look like a million dollars. You are a great example of that! 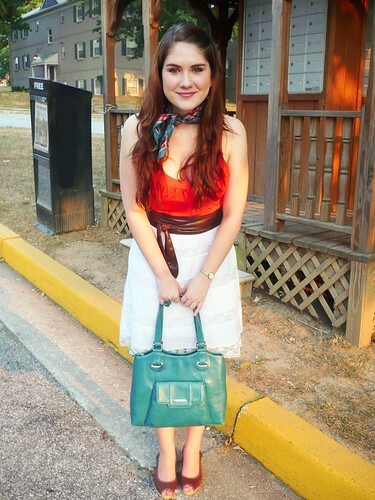 I love the orange shirt paired with that scarf. 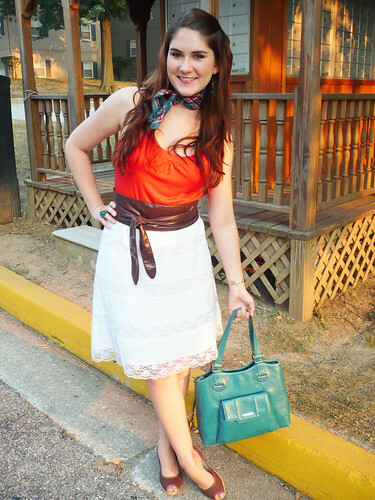 I love the rust with the turquoise - such a great color combo! Great colors! 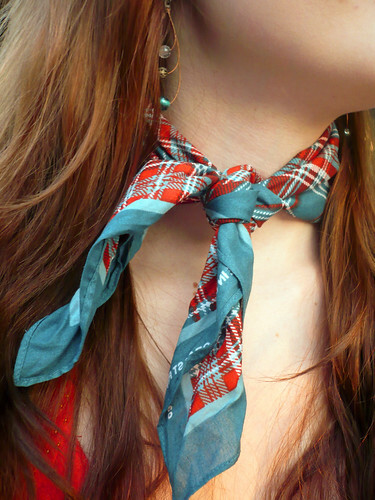 Lovely scarf. I like the matching tie of the scarf and belt.